This small brick-veneered building was built in 1848 to house the Church Family offices. In the 1930s a later owner added the brick-veneered gable-roofed wing and linking ell. The windows have granite lintels and sills. 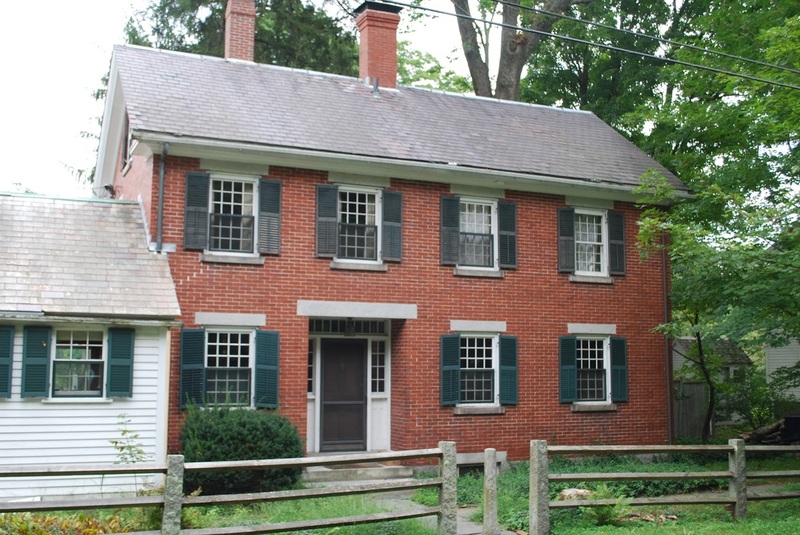 Snake Hill in Groton, but the source of the stone in this house isn’t known. The Harvard and Shirley ministry spent about half of each month here, using the building as a residence and workplace. The fine cabinetry and recessed shutters in the current living room show the Shaker design and attention to detail. The barn behind is part of a former Shaker stable and carriage shed.